Small objects or large items stow them in here. The cargo organizer prevents your belongings from shifting all over the place while driving and its collapsible for easy storage. Take advantage of our amazingly low prices and order the Mitsubishi Interior Cargo Cargo Organizer (Part #MZ312848) today to save $9.67! 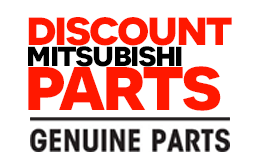 Our dedicated team with years of experience ensures your order is a top priority and that you get your genuine 2012 Mitsubishi Galant replacement parts in no time. No matter where you are in the US, your Mitsubishi replacement parts will arrive straight to your doorstep fast.